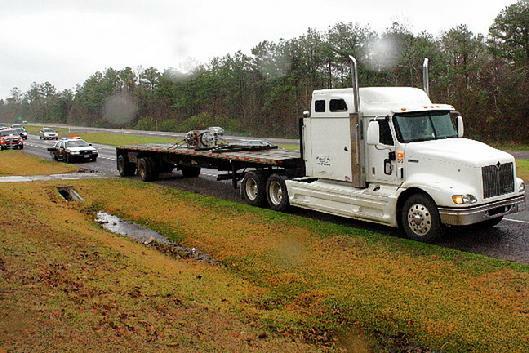 Troopers stopped this 18 wheeler a few miles north of Livingston. 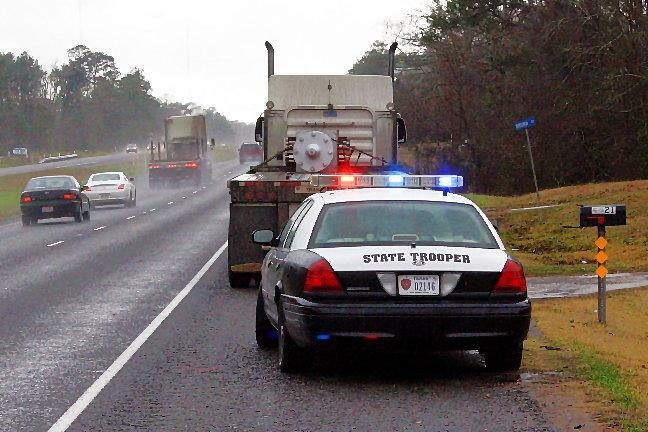 18 Wheeler Pulled Over, Driver Arrested for DWI, LIVINGSTON, December 24, 2009 - Shortly before 1 pm on December 24, 2009, a call was placed to the Polk County Sheriff's Office to report an 18 wheeler that was south-bound on US-59 driving recklessly. 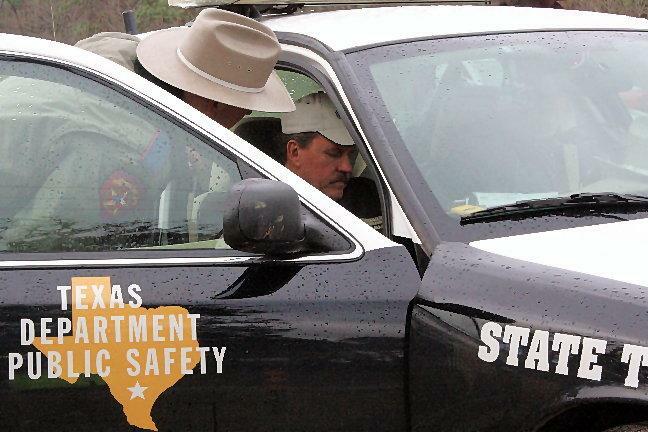 DPS Troopers David Morris and Kevin Burman flew into action and spotted the 2001 Kenworth just a few miles north of Livingston. They pulled the tractor/trailer over and found the driver, Mark Edward Hay, 51, of Ringold, Louisiana to be intoxicated. The troopers placed Hay under arrest for DWI. Hay was taken from the scene to Livingston Memorial Hospital to do a mandatory blood withdrawal. According to Trooper Morris, a physical altercation broke out when Hay decided to begin screaming and hurting himself. Morris forced Hay to the floor to restrain Hay for his own safety. According to records, Hay has 3 previous convictions of DWI and this would be his fourth and will be a felony DWI. A heavy duty wrecker from Riley Wrecker Service out of Corrigan retrieved the 18 Wheeler. The scene was cleared shortly before 2 pm. 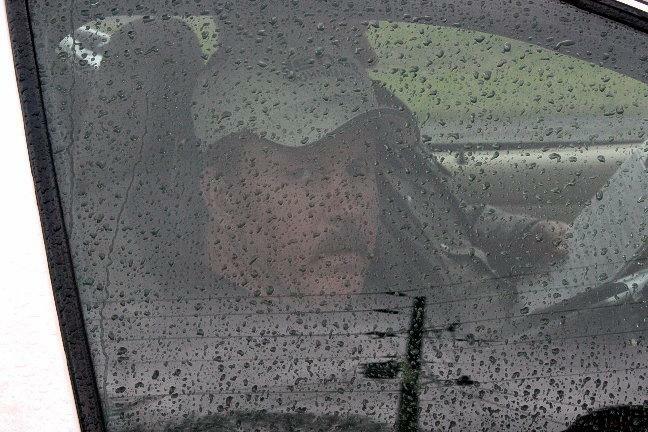 Cold and rainy outside, Mark Edward Hay of Ringgold, Louisiana is under arrest for DWI. 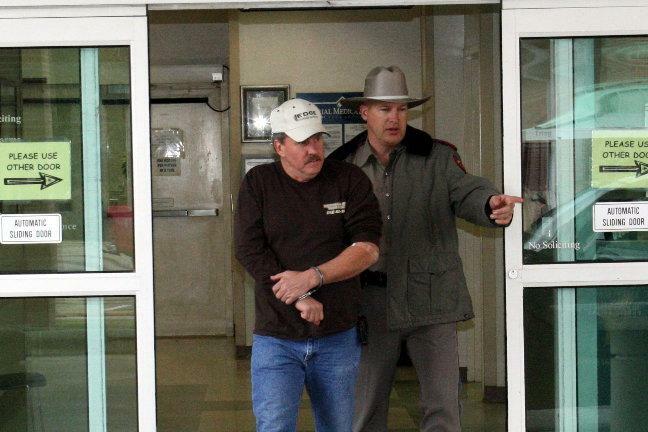 Livingston Memorial Hospital: After having blood withdrawn, Trooper Kevin Burman points the way for Hay enroute to be booked in at the Polk County Sheriff's Office. 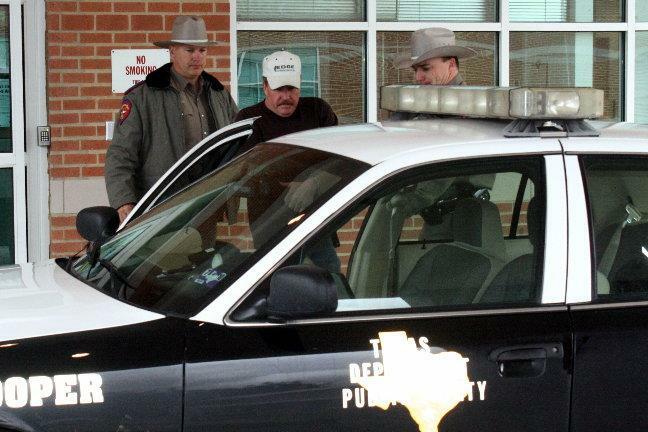 Troopers Kevin Burman and David Flowers make sure Mark Hay is loaded without any further physical altercation. 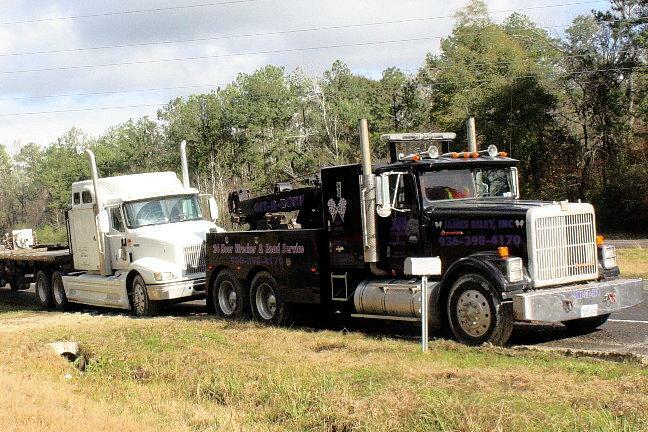 A heavy duty wrecker from Riley Wrecker Service out of Corrigan recovered the 18 wheeler.